SMOS light bit of an oxymoron, it much heavier than the SMOS used at Hayes and Old Oak Common Feeder Stations when HEX was commissioned in the 1990's ............. its called progress. Light is the new heavy, it seems. Looks good, though - value engineering of a good sort. Pity the journos who wrote those electrification articles didn't include the salient facts in their articles. Froth about "company track records" and "30 substations" actually clouds rather than informs. What is ^87M actually buying? Or the "Four sprung duck technique". The rest of that schoolboy joke is not for this forum. IT was considered the greatest engineering feat of its time and a wonder of the industrial age. Isambard Kingdom Brunel's Great Western rail line was completed in 1838 and was immediately hailed as one of the wonders of the modern world. And now 176 years later First Great Western, the firm which operates services on the route, has announced the biggest upgrade the route has witnessed in its history. All of this will take time. We will do all we can to keep inconvenience to a minimum ^ but passengers' patience will be invaluable. Class 800 will be bi-mode units, Class 801 all-electric units - according to Richard, the DfT *still* haven't firmed up the mix! Awesome amount of engineering work involved, whilst most people will notice only a copper cable, and will wonder why it costs so much. Network Rail has pledged to work harder to avoid disruption caused by the Great Western line electrification project. Over the past few weeks, several roads and bridges have been closed off in Wiltshire causing delays for motorists. After a public meeting held on Thursday the firm offered Wiltshire Council a liaison officer to ensure people were better informed. The Swindon to Kemble line is being upgraded to two lines ahead of the main electrification work. Conservative North Wiltshire MP, Robert Gray welcomed the move: "Through a liaison officer, that person is going to be solely responsible for making sure the local people know what's going on. "Frankly if you know what's going on, you know where the diversions are, where the blockages are that really helps you to sort out your day - if you don't know you get frustrated and cross." Some of the recent closures include a bridge along the B4069 at Dauntsey Lock which is being closed for 22 weeks to allow works to take place. NETWORK Rail has been labelled ^insensitive and incompetent^ by an MP after it admitted its rebuilding project of the first of 29 Oxfordshire bridges is already months off track. The rail infrastructure company is planning to rebuild or remodel the bridges as part of the work needed for the ^1bn electrification of the rail network. 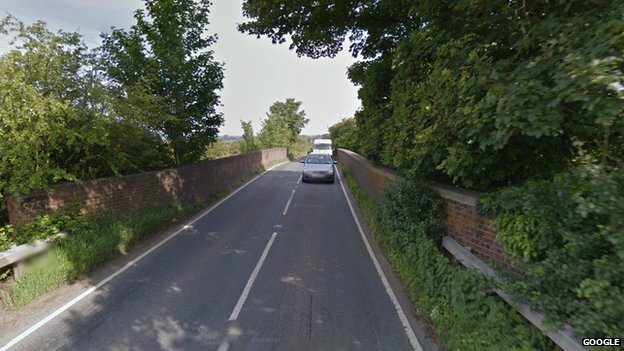 Fulscot Road bridge in South Moreton was supposed to be shut for six months, but ^ongoing design issues^ and the weather meant that closure has been pushed to 12 months. South Moreton residents said they are ^disgusted^ and they understood the closure of the main road out of the village into Didcot was because the rail firm had not foreseen engineering problems. Now Wantage MP Ed Vaizey has joined the criticism. He said: ^I believe Network Rail has proved to be both insensitive and incompetent so far, as sadly has been demonstrated in the very, very poor process and communication about Fulscot Bridge which is to remain closed for months to come even though it should, by now, have reopened. Mr Vaizey said that until he met Network Rail bosses three weeks ago, the firm was not regularly meeting with highways authority Oxfordshire County Council on the project. Claire Hollis, 39, who runs The Crown Inn in High Street, said the pub had been ^very quiet^ during the past six months, but said: ^This is even more frustrating. ^If we had known it would be a year in the first place we would have promoted things differently. The village^s woes were compounded when Oxfordshire County Council also closed the two main diversion routes into the village recently to carry out temporary repairs to make the roads usable for Network Rail contractors. South Moreton Parish Council clerk Roger Templeman said he was ^absolutely disgusted^ by the village^s treatment. Network Rail is modifying railway bridges to make way for new, overhead electric wires, which it says will allow it to run faster, more reliable and more eco-friendly trains. It will need to rebuild portions of the A4074 near Sandford-on-Thames, the A34 near Didcot, a bridge on Steventon High Street and a bridge on the A338 at Grove which takes 13,000 journeys each day from and to Oxford. Mr Vaizey said he would meet Transport Minister Stephen Hammond on May 20 to try to get Government funding to build temporary replacement bridges for Steventon and Grove. She refused to give details about what the ^design issues^ were. Seriously though generally NR want to get these things done as quick as possible just delaying a project costs money, the weather this winter with all the floods quite possibly means the project have lost all their long duration line possessions, these are hard won from the TOC's n FOC's at the best of times. NETWORK Rail has admitted to Wantage MP Ed Vaizey it has had ^considerable problems^ with its ^1bn electrification project so far. Mr Vaizey, who previously branded the company ^incompetent and insensitive^, said directors told him they would work ^much harder^ to minimise the inevitable disruption the project would cause. It comes after the rail infrastructure company announced last month that it would have to close Fulscot Bridge in South Moreton, near Didcot, for double the six months already suffered by residents. It has now submitted an application to South Oxfordshire District Council to raise the bridge, after discovering ^more work was needed^. The company is working on electrifying the Great Western Mainline for improved and faster services. Network Rail spokeswoman Anne-Marie Batson said: ^We certainly acknowledged to Mr Vaizey that there have been considerable challenges on the bridge projects and this included Fulscot Bridge. ^We are currently installing new embankments but, unfortunately, more work is needed to bring the road back into line with the bridge and reinforce the arch supports at the sides. "Network Rail chief warns upgrade project will breach ^1bn budget"
"The scheme to convert the line linking London to south Wales from diesel to electric trains was originally priced at about ^1bn but that is now under review because of rising costs. There have been several problems from stormy winter weather to disputes with councils over road closures, to the presence of bats, newts and dormice along the route." Apart from bats, newts and dormice, I guess it's not surprising they're over budget given the weather and road closure related issues. Still a relative bargain compared to the ^40 billion + being wasted on HS2 though? I guess we'll have to agree to differ on our opinion on the need for HS2, but it's an interesting comparison, though the HS2 costs will include land purchase and compensation as well as the rather large "optimism bias" imposed by the Treasury for works of this nature. 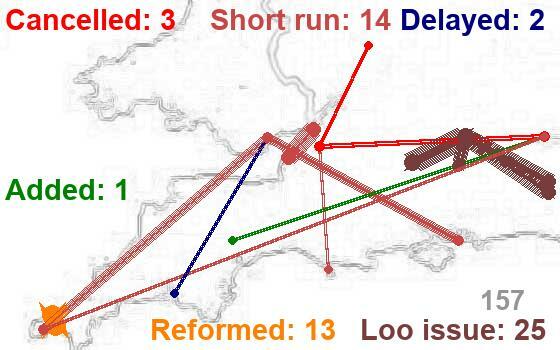 I note that on the FGW website they quote a spend of ^7.5bn by Network Rail on GW upgrades. Presumably in addition to electrification, this includes schemes such as Reading rebuild and flyovers, Swindon-Kemble redoubling and Filton Bank four-track replacement, as well as Temple Meads and Oxford station upgrades. Not sure if the Crossrail part of the GWML is included in this. One can argue whether HS2 or GW upgrade represents better value but it looks like both are happening.